The Power BI mobile experience continues to evolve. 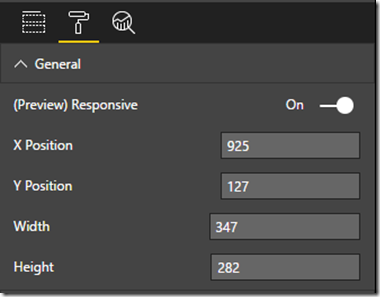 In addition to much loved “just works” capabilities – dashboards and reports that just work on mobile – Power BI is providing more ways to create experiences optimized for devices of all sizes. For example, dashboards and reports optimized for phones allow even more control over the small-screen experience. Delivering a rich visualization on a large screen and then preserving that richness in a small screen can be a challenge. To address this challenge, we’ve created responsive visualizations. You really see the magic of responsive visualizations when creating phone reports and mobile dashboards. When a visualization is responsive, you can use it full size in a report for web and desktop views, and also small size for phone reports on mobile dashboards, with the same stunning visual experience on both devices. 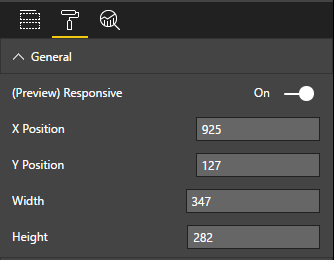 A responsive visualization optimizes across Power BI platforms, whether you use it in a report, a dashboard, a phone report, a mobile dashboard, or even in embedded Power BI visuals that use the Power BI API. The responsive setting is per visual. 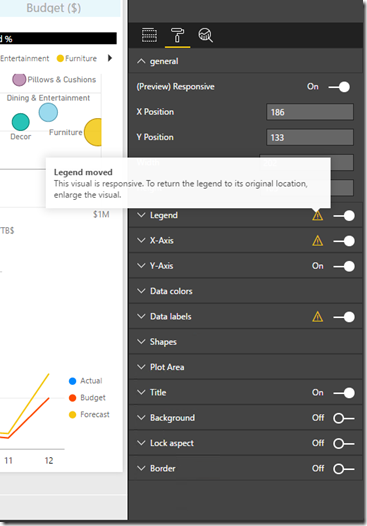 To make a visualization responsive, select it in Power BI Desktop. In the formatting pane, under General, set Responsive to On. To ensure no disruption in your existing Power BI reports and dashboards, responsiveness is off by default on all existing reports. When responsive visualizations become generally available, all visualizations added to new reports will be set to responsive by default. To enable it for any visualization, simply switch Responsive to On. Note: Pinned visuals need to be re-pinned for responsiveness to work in a dashboard. Turn the responsive setting to On, and then re-pin the visual. When responsive optimizations are made, the axis, legend, and other elements might be impacted. When this happens, an indicator will appear in the formatting pane next to the element impacted. This points out the responsiveness changed to the report author. Responsive visualizations automatically adapt their size to offer a data-optimized view across different screen sizes. Thus, you can create one visualization and add it to Power BI reports and dashboards displayed on large screens and on the smallest devices. Take advantage of this great new feature by making your existing visualizations responsive today!